Captain Ruwan Vithanage the President of the Airline Pilots Guild of Sri Lanka has reported SriLankan Airlines‘ Head of Human Resources Pradeepa Kekulawala to the national carrier’s Chairman Ranjith Fernando and its new Board of Directors stating that they have no confidence in him, Colombo Telegraph learns. The APGSL had earlier reported HHR Pradeepa Kekulawala to the ongoing Presidential Commission of Inquiry and had provided a dossier of information alleging malpractices committed by the airline’s HHR Kekulawela. The APGSL was recently summoned yet again by the Presidential Commission of Inquiry to provide further evidence pertaining to the airline’s Human Resources Head. However prior to submitting further evidence, the APGSL President Captain Ruwan Vithanage tendered a letter to Chairman Ranjith Fernando and the Board of Directors stating that they had been summoned to meet officials of the Presidential Commission of Inquiry. The letter provided to Chairman Fernando and the Board of Directors of the national carrier stated 12 reasons as to why they had no confidence in HHR Kekulawala and further sought their assistance to conduct an investigation into the much tainted HR Head and his alleged committed malpractices. The APGSL President Captain Vithanage’s letter stated that his Executive Committee could substantiate all allegations that were made against HHR Kekulawala. APGSL President Captain Vithanage’s allegations against HHR Kekulawala ranged from several malpractices such as the controversial Collective Bargaining Agreements signed between the airline and its unions, allowance disparities paid between Pilots and Cabin Crew, terminations, deprivation of staff travel benefits to pilots on reservation or at check-in, disparities in employment contracts of pilots, among other factual issues. HHR Kekulawala whose basic salary was reported in a RTI report to be Rs 998,004, responding to Captain Vithanage’s letter sent him the email found below using his mobile phone. Your mail below addressed to the Chairman and Board of Directors stating that you are going to the Presidential Commission of Inquiry is noted. Firstly, I completely reject the accusations, insinuations and the baseless allegations you have made therein. I take this not by any surprise since this is not the first occasion where the Pilots are engaged in a personal attack against me with baseless allegations and as such, I consider the email below is another malicious act on the part of the Pilots Guild in a series. Secondly, I wish to categorically state that none of the decisions affecting the benefits of particular employee groups in any form have been decided by me singularly. It has either been a collective senior management decision and / or a decision backed by Board approval or ratification. I have been the communicator of good and bad news on many occasions, but it does not necessarily follow that decisions have been taken by me. I wish to categorically state that there has not been malice on my part towards the Pilots or any employee group. It is very important to highlight that it is only the Pilots’ Guild which represents 320 employees out of 7000 employees, which is less than 10% who seems to have a problem with me. None of the other employee unions which represent the majority of the employees of the Airline have any issues with me and we maintain a very good working relationship. As the allegations you have levelled against me are baseless, vexatious and motivated by a personal vendetta against me, I will not go into detail to defend myself in this letter since you are going to the Presidential Commission of Inquiry and at the appropriate forum I would clarify matters and prove your allegations as baseless. I must also emphasize that the job role of Head of Human Resources is not the most popular job of the company and an objective professional cannot always please all employees. He has to be fair by all stakeholders. Having joined the company competitively through the due process as the Head of Human Resources 08 years ago, I have continued successfully so far as I have always done the right thing towards the Company. The respective Chairmen, Boards of Directors and the leaders of the governments recognized that fact which is the reason for my continuity in the job. I conclude stating that I give leadership to the entire HR professionals of the country as President of the Association of HR Professionals elected by its membership for the 2nd year. I am also a stakeholder in human resource development initiatives of this government as a senior industry professional. Careful perusal of your mail clearly indicates that most of the points revolve around benefits of Pilots other than anything else. It must be stated that one cannot always look at benefits of a particular employee category but there has to be parity all around and affordability. Please be good enough to come for a meeting / discussion should you have issues to resolve, matters to clarify and grievances to air. My doors are and have always been open to any employee category as you are very well aware. The contents of your reply to us in response to our letter addressed to the Chairman and Board of Directors is noted. At the outset, we wish to state that the purpose of including you in the original mail as a copied recipient was to maintain transparency and integrity in our communications and not to initiate a debate with yourself or give you notice of our summons to the Presidential Commission of Inquiry. As you have addressed the correspondence to me copied to the Chairman and Board of Directors, I am compelled to respond to what’s relevant to our letter in your correspondence and not to your personal opinions of your achievements, affiliations or recognition you have had with Chairmen, Directors and leaders of Governments. I wish to categorically state that the ALPGSL refutes your deflection of our letter to the Chairman and Board of Directors as a malicious act of exercising a personal attack against you. We consider it would have been more prudent and transparent of you as a HHR, if you had encouraged the Chairman and Board to have asked us to justify each fact that was stated as offered in our letter rather than dismissing it at the onset as mere fiction and a personal attack on you. You go on to state that “most” of our letter highlights benefits revolving around the Pilots. We wish to emphasise that with regards to those “benefits”, what we have highlighted is your incompetence in understanding and maintaining industrial norms and best practices within the employee segments in an Airline. It is not with reference to any benefits sought by us. It should be clearly understood that despite your claims that all decisions were made collectively, it does not absolve you of your individual responsibility and accountability to what you have signed. Whilst we take note that you have not offered any elaborations on the other issues which are not related to “benefits” it is our opinion that the rest of your other diatribe only serves to substantiate our views and opinion of you; which has been placed on record for the perusal of the current Chairman and Board. It is earnestly hoped that the Chairman and Board of Directors will initiate an inquiry to what has been stated by the ALPGSL, and we reiterate that we can substantiate the contents of our letter and also further elaborate on our perspective on the contents of your response that may not have been addressed here. As the ALPGSL has clearly intimated our stance with regard to your questionable conduct and our opinion of you, we trust that you will agree that there is no reason for any further correspondence between us in this regard. HR Pradeepa Kekulawela was summoned by the CID for several hours on Thursday the 6th September 2018. He has been summoned to be questioned further. Who is the manager in charge of disciplinary management jn HR? She is yasitha, a woman who cant handle to speak a sentence in proper English but has a MBA sponsored by her engineering big shot lover boy. Head of HR is numb for this as the engineering fellow is highly politically connected. People who acted smart in the department especially ladies who did not want to have any personal relationship with hhr were harassed so badly and that valued labour has left the company. 3, the lady lover dulari is about to be promoted to grade 10 any moment for analysing his personal agendas on a daily basis and (you know what I mean) and Consuming money from the training budgets handle. Employing and promoting friends daughter hansini overnight from intern to executive and company stylist’so daughter shashya for executive position while she is just 22 years old. Etc, etc. Having huge management trainee graduations at five star hotels when there are ample auditoriums in the company so that he can misuse the money and reserve a room at the particular venue for his personal agendas with training analysis madame. The list can go on and on…. simply he is a rogue who should be sentenced”. Every govt institution and SOE ‘s Management is PResident’s and PM’s friends and relatives. “That includes CBK, Rajapakse, Ranil and now Maithripala Sirisena. We can talk about these things for our whole life. did you see while Sri lankan airline was in disarray how one of the management member BRITO was dancing with CBK saying Hippi Hippi hai, hai. That is how everything is. Hopefully action will finally be taken against Pradeepa. Accountability is needed. Now! Justice for all his victims! He was stupid enough to sign letters and send emails incriminating himself – I have personally sent copies to the Commission. Disgusting that this man has been given HR awards – he needs to stripped of these immediately. After I sent the same to the Weliamuna Commision in 2015 Pradeepa stopped signing letters – he had some low level flunky in HR sign instead. They talk big but they are cowards in HR. Pradeepa Kekulawala is just the tip of the iceberg – plenty more Human Garbage to take out! People like this are a stain on the country. Who is protecting them? And why? What a certificate of poverty for the association of HR professionals to have such a coward as a president. Apart from his malpractices and low-performance, what a disgrace hiding behind others instead of taking the responsibility for his actions. Degusting!! 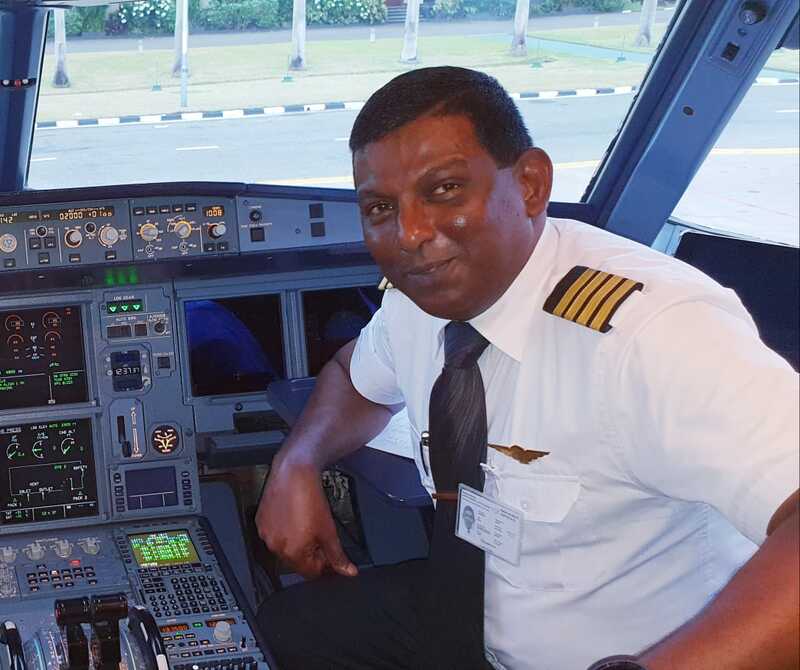 Ostensibly Captain Ruwan Vithanage, the President of Airline Pilots Guild of Sri Lanka (APGSL) has written to SriLankan Airlines‘ latest Chairman Ranjith Fernando and its new Board of Directors stating that they have no confidence in the Head of Human Resources Pradeepa Kekulawala. Why the hell does Pradeepa send a reply to Ruwan? APGSL are not angels. 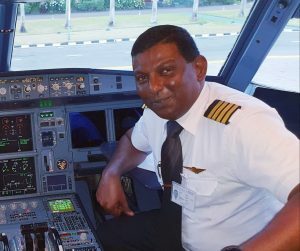 The writer of this article Jacqueline Senanayake, must investigate various actions taken by pilots to tarnish SriLankan Airlines, for example turning up late, refusing alcohol tests and the like. They are soaking wet in the culture of corruption/nepotism/impunity. The appointment of a new Board of Directors (BoD) gave some breathing space. If the breathlessness persist, another BoD can be appointed and/or PCoI dismantled. How lucky we are! Now, I understand the problem in Sri Lankan Airlines, most of people think , if they can talk English and they know management better than those who can not talk English, They don’t know , English is a communication media only, it is not a indicator for knowledge, if so all the English speaking countries should have professors and Doctors, no other people. They should understand, China , Korea and Japan are some examples for non English speaking but they do better in Management than other countries. Japan has introduced best management practices, JIT, 5S and good organizational culture than us. If any one try to make competitive advantage in English, that is a mistake for them, it was old days but not now. How many pilots have higher education, they have only Pilot license with A/L. What do they know about Management, only few people have basic degree and handsome in Masters. But they preach about best practices and HR management without managing single human being. They follow the SOP. Pilots guild talk only their own benifits rather company as a whole. What credentials and qualifications to question about management since those Managers have earned qualification properly from recognized Universities than online as the pilots. As the Constitution, chairperson and board of directors are appointed by the president and there is no any qauliication required, they should question this from president and supreme Court its legality. Nepotism is there as Instructor pilots pass Royalist, Thomian and their sons in selection test. They pass early information before selection test to their sons and Keith. This loss making venture has to close down, they should understand their salary is paid by citizens even government pay colossal money yearly. What you say is a sum of broad-brush assertions. Have you got concrete knowledge about the APGSL’s education and experience? And can you substantiate your assertions about the pilots‘ nepotism? A common sense (and the capability to read also helps a lot) is enough to find out simple facts on best practice and fair treatment. You don’t need a Ph.D. The problem is, that the HR-people in charge who have the degree seem to not have heart about it. And maybe you have not realised, but it is the pilots‘ guild that is speaking here. Naturally they represent the interests of pilots in the first place. But they do much more than that. Name one suggestion they have made in the recent discussion that is not for the betterment of the whole airline. Dear Jo , it seems that you have not read the previous comment and please read between lines and unfortunately common sense is not common for all. There are lot of examples and we can list one by one with names with substantiated information. Common sense can not run the business if so any one can be a pilot but you will say no for that. Flying is a skill but management is different. Having more flying experience doesn’t gain more knowledge in Management, strategic marketing and HR and other areas. What they think is they can manage with common sense but only common sense doesn’t work. How many sons are flying, take a easy Example if you want see nepotism . So Managing is not only managing flying. So if you know more of little bit Management beyond common sense, it is part of operation management not as a whole. I don’t say , Only pilots are responsible but about others , if they can speak English, it doesn’t mean, they are capable in the job, that is the mistake. How many good lectures in university can not talk fluently but they are expert in their subjects. It doesn’t mean if any one doesn’t know English, not suitable.So We can make a inference, most of the people who can not talk English very well, are not educated in Sri Lankan and if they can talk English, they are good and capable. So they have not hired wrong people and wrong method, if they produce wrong product, it is obvious, making loss. Sri Lankan as a whole , wrong business model and sub systems are making own procedures, what strategic fit does it have, only putting hands to other side but doesn’t see their own mistakes. Do pilots have best practices and heart about local contract pilots. Do they have fair treatment than permanent pilots. How about ex-Mihin Pilots, do they assses fairly. Dear Jackson, thank you for your explanation. I did not say, everybody with a common sense can manage a company but everybody with a common sense can identify malpractices and decisions or actions that do not correspond with business and industry norms or are a matter of unfair treatment. SriLankan Airlines is not the only airline and you can be rest assured that the APGSL is able to compare and understand the world wide aviation regulations and standards. I do not have the impression the guild wants to run the company. They can’t. Yes, it needs other skills and knowledge for that. That is why they ask for a management that is capable of doing so. If you look at the airline‘s fatal situation it is a justified claim. All reconstruction efforts are in vain if there is a management that counteracts these efforts or is ineffective. English is not a guarantee for education or experience. Of course not. But this is not the subject of this article. Jackson, I think you have missed the essence of the content. The pilots guild has stated certain allegations against the HHR which they are willing to substantiate as stated I the letter. It’s is upto the board to ascertain the validity of the allegations. It is an internal corraspondence of factual allegations. It apears that you seem to have some concerns about sons of pilots and Mihin Lanka pilots. If you do some research you will note that the selection of cadets is done by a UK company with no involvement with the UL management. So you can continue with your conspiracy theories or do some reading and educate your good self. It is not uncommon for a doctors son to follow medicine, so why should not a pilots son as long as he makes the mark? It may be also information to know that those who could not make it through the cadet process of UL have been absorbed and been/being made permanent at the request of the ALPGSL subject to them having the educational and simulator criteria. In any case let’s see what happens at the PCoI..
UL pilot asserts ~ “……..If you do some research you will note that the selection of cadets is done by a UK company with no involvement with the UL management……”. An airline with so many years behind it, was (and probably still is) unable to select cadets. So they went to a UK company to do this! This says it all. No conspiracy theory here. UL pilot finds this UK company involvement as ‘the cure’. APGSL must see this as the disease. APGSL is one of many unions in SriLankan Airlines. There are unions to safeguard the interest of cabin crew, ground staff, mechanics, cleaning teams and so on. All have one thing in common – no angels in any. Every employee contributed to the mess they are in. They must lift themselves out by their shoe laces. K.Pillai, If I am correct you have a comment to make on every topic that is published on CT. So based on that assumption I will refrain from responding to what you state as it seems making comments as educated opinions is your past time. But I suggest a good quote that might of interest to you: :Better to remain silentand be thought a fool than to speak and to remove all doubt” – Mark Twain. UL pilot: Your assumption that I make ‘educated opinions in my past time’ is taking it a bit far. My opinions are not my ‘past time’. They are not ‘educated’ as commonly perceived. They are no more than commonsense. Yes, the Mark Twain humour is original. Your statement about employees being responsible for the situation at SriLankan is incorrect. There are plenty of honest, honourable and dedicated people working at SriLankan. I know – I’ve worked with them! The problems at SriLankan stem from having the Politicians running the Airline by decree and the Culture of Impunity and Zero Accountability. Still no action taken against Pradeepa Kelulawala and the rest. The purchase and sale/leaseback of U$2.3 Billion worth of new aircraft and the still outstanding purchase of 4 A350 aircraft at close to U$ 1 Billion has doomed this Airline. The leased aircraft are leased at well above market rates on 12 year leases. The 4 remaining A350 appear to have been bought at list price instead of a 40% discount which is what is normally negotiated. All these contracts appear to have no termination clause which is why “negotiations” have been going on for years without result. The high lease costs means that it is impossible to operate these aircraft profitably. It is impossible for SriLankan to make money. Read the annual reports – it’s all there. In case anyone still doesn’t understand what is going on – all of the above was done to increase the value of the deal and hence the Commissions paid out. That’s what these aircraft orders are really about. Still waiting to see this investigated and find out who received the money. Some people got very rich while the Airline was destroyed and the tax payers saddled with huge debts. Not sure how you can blame the Employees for this mess. Dear UK Citizen, thank you for a great factual analysis. But I doubt that k.pillai would have even seen a annual report prior to making his educated opinion. e.g. why a UK company has to do the selection of cadets after the aviation minister reduced marks to accomadate some who did not make it. Those that did not meest the situated minimun marks were not hired due to the ALPGSL intervention in this. But as a current employee I bow to your loyalty for this airline which has been runied due to political appointments since Emirates left as correctly stated.. The fact that we had a chairman who had failed O/L’s and the senior most position he held prior was a planters post and then Director in a Garment Industry who had no higher senior position and CEO’s who never had any previous experience in such a senior capacities and came for OJT was the downfall of this Airline. a no confidence against him buy was yet was retained on political influence. Yet again it was the ALPGSL that was in the forefront for him to be removed. One may ask why no other union despite the obvious damage never came forward and openly questioned his detrimental actions. There is some hope for the airline with the appointment of this board especially under the new chairman. It may be educating for K.Pillai to know that Ranjith Fernando was a union leader prior to getting into management and had successfully privatised NDB and the rest of his career progress is well known. UL pilot’s first line ~ “…..but I doubt that k.pillai would have even seen a annual report prior to making his educated opinion. e.g. why a UK company has to do the selection of cadets after the aviation minister reduced marks to accomadate some who did not make it…………”. I have not sighted the annual reports. My comments are common sense. ‘Educated’ opinions? Well, I did get through OL. The second part was a tongue-in-cheek reference to the culture of corruption/nepotism/impunity we are getting used to. I said that every employee CONTRIBUTED to the mess. This is the culture of impunity/nepotism/impunity obtaining in SL which is at the root of our predicament..
We are in the same wavelength. I do not have any vested interest in SriLankan Airlines. My hope is the PCoI does not get scuttled. Hold on guys, pilots are pilots our chaps fight for the free water bottle, free WiFi, free laundry when they stay in a hotel, but most of their fights during the recent past has been for the sake of the company and not for themselves. Even the HHR s matter is reasonable. This guy first of all has no idea about the people who works for Sri Lankan and his interests are only to survive in the post agreeing to every Tom sick and harry. The guy is not even challenging unethical appointments, bias appointments of friends and political stooges. He has no idea of the company’s real process and the duties of other departments . He can only look after the females in his department and the rest he will only sign. Time to move on HHR you have now lost all values including the department’s. Thank you !! Yes the pilots have not asked for anything for themselves, except highlighting the corrupt and asking for accountability!! Thats why they went to the PCoI in the first place. On a lighter note: why not fight for what is free to be given free?? Anyway it’s nice to know that people like you also are there in support. Why did Srilankan serve rotten Cashews to President Sira in Kathmandu?…. Sira is so pissed off , he told the Farmers in Pollonnaruwa that even Dogs would,’t eat them. We know Dr Ranil put a Buddy ( or is he a Cousin) to run the Airline.. But he won’t eat Rotten Cashews as Bite when he has a Duty Free Black Label . Would he ? So who sourced these rotten cashews ? I mean they won’t buy just a Box. They would have bought may be several thousand boxes. I travel a lot . But ibnCattle Class. But I have never got cashew except in Business Class. What has this got to do with the article ?? No, it was run by rotten people from 2005 to 2015. Dr Mahinda is flying to Sultanate of Delhi within the next few days. As the official b***s carrier you too would be flying with him, I assume. When you are there please visit Palika Park & A- Block , connaught place. I thought you would have recommended G B Road when I go to see the Taj Mahal. next time…. Glad to hear we want the same outcome. I too share your concern that this all just a lot of talk and nothing will actually happen. The fact that there is over U$1 Billion in losses with at least another U$2Billion in future liabilities and not a single arrest of those responsible is a concern. As far as I can tell the most basic investigation hasn’t been done – obtain copies of the lease contracts and find out who signed them of behalf of SriLankan Airlines. Why not? In the recent past, it was reported in a local newspaper about a UL Pilot not been allowed to pilot a schedule Frankfurt- Colombo flight due to his excessive intoxication, eventually another pilot had to be assigned after a prolonged delay, as a result the flight arrived at KIA behind schedule, and the passengers were compensated in Euros. There was no mention about what explanation was given to the passengers for the delay. This kind of behavior will tarnish the image of the Airline, therefore pilots/crew have an obligation to uphold its reputation by good conduct. People still remember how Keheliya’s son in his drunken rage tried to force open the flight door mid-air and now My3 complains about unhygienic snacks being served to him. Not every issue is HR related yet overall these conditions leave a lot to be desired. No one speaks about the new post that’s being created as Chief of Service Delivery and soon to be awarded to Rajindanath Thagor. Yeah you heard me right, Capt Rajind the pal of CEO and Chairman is already awarded the position creating another 3 million per month package like Druvi style. So Guild Boys – hold your belts without attacking HHR until this position is filled. Why is this thread being administered and published as per the will and favor of the pilots only? They paint a pretty picture on themselves. Will have to wait for the story from the other side. Pilots are a bunch of pseudo-hyped overpaid sector in the society, who enjoy too much privileges riding on peoples’ money.